Along with my dogs, guns, shells and license, my Alpha is a mandatory piece of hunting gear. The picture shows my outfit (minus one more standard collar). I'm not exaggerating when I say I won't put a dog on the ground without it. The peace of mind it offers is nothing short of amazing. I hunted for 20 years with every tool used to locate dogs, from nothing but an eyeball looking for my dog, to a bell, to beepers, etc. When the Astro 220 hit the streets, I was an eager consumer. The Alpha has many advantages over the Astro. 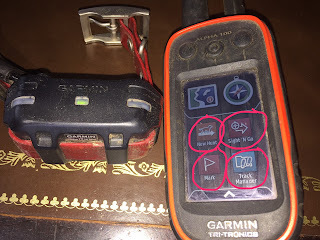 I'm not going to compare models- go to the Garmin Website (https://buy.garmin.com/en-US/US/cIntoSports-c10342-p1.html) to do that- but I will relate a few things I've found over the years. One big advantage is it reduces the number of collars on your dog. I would use the Astro and also an ecollar. The Alpha incorporates the ecollar and tracker into one unit. The smaller collar, the TT-15 Mini, has many advantages over the standard TT-15. It fits my smaller female Brit (the standard TT-15 would not tighten enough to put the contacts on the dog's skin), and the smaller profile means it's lighter, as well. Any replacement collars I buy will be Mini's. The battery is slightly less strong on the Mini, but because I charge them constantly and keep them charged, that is not an issue with me. The batteries will easily last as long as the normal 2-3 hour cast (17 hours for the Mini- depending on setup), and you can turn off the collar to save the battery, if you like (or change the update rate, or use the "sleep" feature of the Mini). I've never had an issue with battery life (except when I was too tired to charge it at night- then I plugged it in on the way to hunt and let it charge.). Above is the Home Screen. Every hunt starts here. EVERY HUNT- no matter how long you intend to be gone. The upper left circle says "New Hunt". When you press that icon you will get a couple of prompts to 1.) Mark your truck and 2.) remove old dogs tracks. Be sure and mark your truck. There is nothing more pitiful than a hunter wandering around, lost, with $800 of sophisticated GPS in his hand, because he didn't mark where he started. I've seen it happen, just sayin'. Also, removing old dog tracks doesn't mean you lose them, they are merely removed from the Map screen. You can still move down the page, select Track Manager (the bottom right circle) and save all your old tracks and display them on the Basecamp software in your laptop. That is advanced gps-ing and you can learn about it later. I have a friend who saves every cast and it's interesting to go back years later and remember the entire walk. I do mark every covey, however, and keep the data on # birds, # shot, etc. Also, I have a temperature attachment that records the temp outside when I do save the track, for future reference. Map Screen with a dog track on it. This is the Map screen you get by pressing the square map symbol on the Home screen. It shows you and your dog(s) and their track. It will also show roads, public land, way-points you put in, etc. Once, in New Mexico, I used the map screen to exactly follow my wandering track back to the spot where I thought I dropped an item. It accurately put me right on the piece of gear! The next screen is the compass screen. You get there from either pressing the lower right round compass icon on the map screen, or by going to the Home screen and pressing the upper right, round compass icon. Compass Screen- the one I use 90% of the time. Bottom right depicts a square icon to quickly go to maps. Bottom left, pressing the House symbol takes you to the Home Screen. Touching the Dashes in bottom center will take you to a menu for more good items. When I first got my Alpha, I'd been using the Astro for many years. I was worried about the touch screen with gloves (can be a problem, but you get used to it), and worries about unwanted inputs into the touch screen (can be a problem, be sure and check exactly what the screen says before using the e-collar!) when moving through brush and tall grass. On the other hand, I put data "chips" in the handheld and, wherever I'm hunting, I have the public land, BLM land, BMA land, State Land, National Forest Land, and even private land with owner's names! And, it shows me where I am in relation to that property, so I don't trespass. (www.huntinggpsmaps.com) It's easy to keep charged- I just plug it in at the end of the day and it's ready to go in the morning. If I move locations, I'll plug in the handheld while moving the truck. It uses either a USB connection in to a cigarette lighter slot, or it has an adapter for use with a standard 110 outlet. I have the charging cables all ready in my truck and plug everything in when I load my dogs and the units charge until I put them on another dog. I don't recommend crating the dog with the collar on- the antennas make super tasty chew toys to a bored dog. It only takes a minute for the handheld and collar to locate themselves again in the new location. They are already paired and stay that way as you turn them off and back on. So, should you buy one? Most likely, YES. I've only scratched the surface of what they can do. They can send messages between handhelds (preset). They have sunrise/sunset tables, preloaded cities, navigation, etc. The same stuff normal GPS units have. 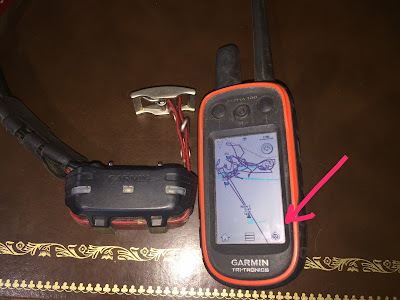 Is fact, you can remove the tall antenna and use them as a normal GPS. It's going to take some sitting down with the manual and playing with it. Walking along waiting for the pager to go off, you can scroll through the screens and browse. 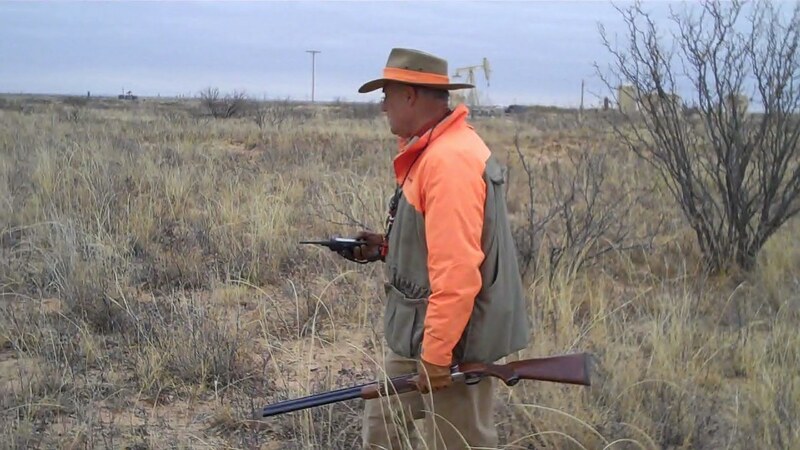 When a bird or covey flushes, I like to use "Sight and Go" to mark where they landed (top right circle). I also Mark (bottom left circle) every covey or flush, etc. and keep record of hunting trips all over the country for the last...many years. I highly recommend using this gear. It is the class of the group. It's reliable. It's accurate. Full Disclosure: I've not received any consideration from Garmin. I heard the page. Now, how far away is she?